Things have been rather busy, to say the least. I have been trying to work out a way to get the column sample at Walakpa. For a few days, it looked like Ilisagvik College would be running a camp down there, so we made a plan to set up the camp and start the excavations, and then the campers would join us and be able to participate. We were going to share logistics. IHLC is supporting the effort and letting one of its staff members participate. Now it appears that the camp is in doubt, and we’ll find out sometime this week. Since there is at least one person coming up to Barrow early to help out, another person who wants to help who is leaving in early August, and I am committed to a small project at Birnirk with National Park Service support (also early August), I am having to come up with a Plan B. UICS will let us use a tent and some other equipment, and we’ll just go down and camp, rotating a couple of people digging at at time and working as late as we can to finish as fast as possible. If that isn’t enough, I’m working on several contracts, one of which requires trips to Kotzebue, Point Hope, Nome, and Wainwright, as well as work in Barrow. It involves testing and in some cases monitoring. 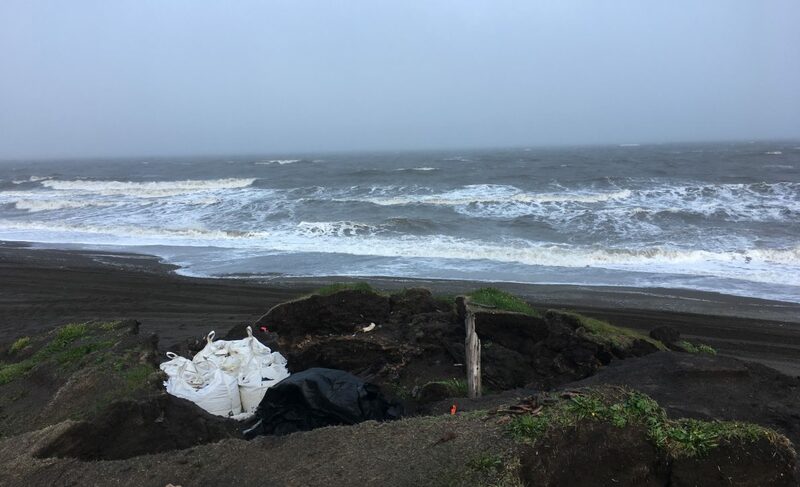 The schedule for this just firmed up, and the Kotzebue work has to happen next week and over the weekend, since some of the work is taking place in the street and we need to monitor that excavation. This is going to be a challenge with the weather we have been having meaning many canceled flights in and out of Barrow, the Walakpa work schedule and then the Birnirk work. We also have some work that needs to be done in Wainwright, which was supposed to happen in the summer. The only problem is that there are apparently no beds available in Wainwright for the crew, since the client (who was in charge of providing lodging since they own & run the camps) somehow forgot to reserve any! Not sure how that will work out. I’ve got two conference papers to give in the first half of September, one in Glasgow and one in Vienna, so they have to be finished as well. Next Next post: Readers, would you be willing to help a grad student with her research? How many Anne Jensen’s are there??? ?